Land protection is the first important step, but without ongoing stewardship, land is vulnerable to impact from invasive plants and animals that can render it unhealthy. As of 2014, the Land Alliance owns and/or manages 11 nature preserves, totaling 210 acres. The majority of these preserves were gifts from The Nature Conservancy and ExxonMobil Corporation, though the Land Alliance has also worked with private parties and municipalities to acquire preserves, such as the Wawapek Preserve in Cold Spring Harbor (aka DeForest Williams Property). We also hold 16 conservation easements on 195 acres of privately held land. Our conservation easements require an annual monitoring visit to ensure that activities on the conserved properties are in compliance with the terms of the easement. When an easement is established a baseline inventory is generated to provide a record of the condition of the property at the time the easement goes into effect. Land Alliance staff work with property owners to best preserve the conservation value of their land. With a small stewardship staff, the Land Alliance relies heavily on our volunteers and organizational partners to carry out these activities. We are most grateful to our volunteers, businesses and other local partners who mow fields, remove unhealthy trees and keep meadows open, often donating their time and expertise to maintain these special places in our community. 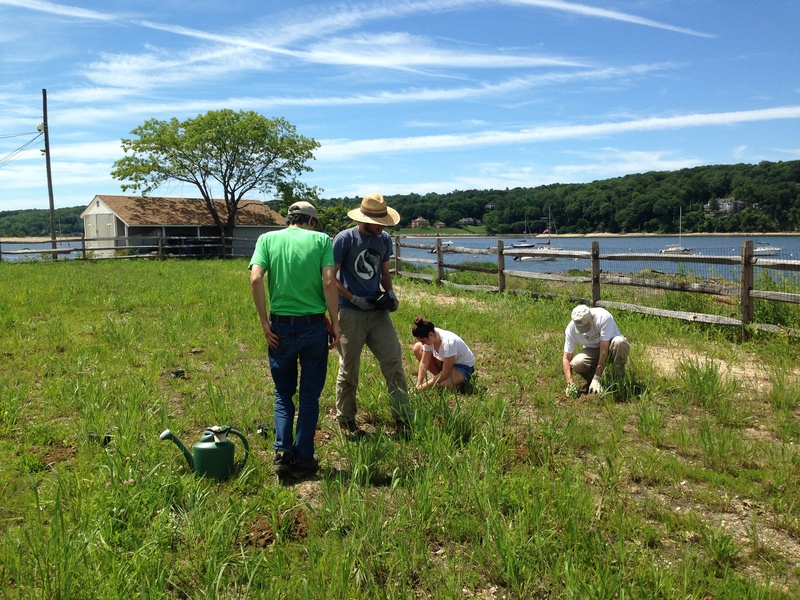 If you would like to help the Land Alliance steward our the local preserves or monitor our conservation easements, please contact Jane Jackson at 516-626-0908 or send an email to jjackson@northshorelandalliance.org.